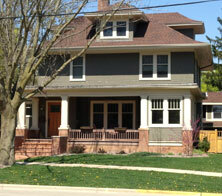 Looking to Buy a Home in the Greenbush Vilas Neighborhood? In late 2014 the City of Madison created an exciting new program to help singles, families and developers buy rental properties in the Greenbush Neighbohood and convert them to owner occupied units. The program provides assistance of up to $80,000 for a single family, $90,000 for a duplex and $100,000 for a three unit property. You can find more details about the Greenbush Housing Renovation Program by clicking here.